"Specialization is key and integral to success and financial freedom." 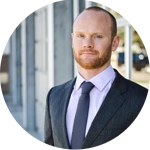 This week we speak with Hunter Thompson, Managing Principal of Cash Flow Connections, a real estate consulting firm based out of Los Angeles, CA, that helps clients invest outside of the stock market in turnkey real estate investments. We discuss some of the trends that are driving online real estate lending, such as a shift toward alternative investments and wealth transfer between generations. Hunter explores why the risks of passive real estate investing can be easier to mitigate than other asset classes. He also shares high-impact due diligence strategies for working with real estate sponsors. Finally, learn why Hunter believes specialization is the key to financial freedom and success - in real estate and beyond. Welcome everyone to this episode of Real Estate Investing Unscripted. I'm your host, Matt Rodak, founder and CEO of Fund That Flip. Today, joining us from Sunny California, is Hunter Thompson, the managing principal of Cash Flow Connections. Hunter's company sources cash flowing real estate investments and brings these opportunities to his network of investors, helping them build diversified cash flowing real estate portfolios. This includes everything from commercial real estate to mobile home parks and even some debt. With that, welcome to the show Hunter. Hey, thanks again for having me on. Yeah, I appreciate you taking the time. Get us going with more detail on what you guys do over at Cash Flow Connections and how you got the business started. I really was hell bent on getting involved in finances when 2008 happened. For a lot of people that was kind of the defining moment in their career, whether it was one side or the other. For me, I wasn't invested significantly at the time. When I saw what happened in the stock market, I just assumed that would be a great time to get in the world of finance. I started investing in stocks, and when I say investing, not day trading, but similar to a Warren Buffet type of strategy, trying to identify companies that I thought were undervalued. I did that for about two years and had success at that. Obviously, most people that start investing in 2008 in stocks had success. I had my real defining moment during 2010. That's something that almost no one talks about, but for me it was completely a categorical shift in my thinking. I was starting to ponder what my goals were as an investor and the thing I kept coming back to is the predictability of outcome and the cash flow to pay off expenses. As I was starting to realize that stocks were just a really inefficient way to accomplish those goals, the European debt crisis happened. This is something I've spoke about many times before, but it's just really critical in my worldview. I remember watching CNBC and all of a sudden everyone was focused on the European debt, and specifically the grease bond yields. Essentially for those that aren't familiar with this, it was basically the liquidity in all of the European banks, central banks. They really, really struggled very similar to what happened 2008, but in Europe and it was causing massive volatility in the US markets. All the pundits were watching the grease bond yields and saying "If the grease bond yields -- the 10 year -- remained below 7%, the S&P 500 was going to be fine. If it went above 7%, the S&P 500 was going to collapse." I remember watching this and thinking how possibly is it the case that something so obscure is predicting where my financial outcome is going to be? More importantly, how could I have ever mitigated against a risk like this? So, that's what really set me on the path to real estate. I got drawn in so fast at very volatile time, obviously. Because of the fact that there was such a lack of liquidity in the market, I was able to establish some really incredible relationships with some institutional partners early in my career. I started from my own personal portfolio and brought in friends and family kind of as a small family office. As we started to establish a track record that friends and family fund turned into larger investors. We went from 5 investors to 10. Now, we have about 300. So, that's really how Cash Flow Connections was founded; just because of the challenges I was facing with the volatility in the stock market. Structurally what we do is, we have a really significant due diligence process and we have really great relationships that we've created over the years. We leverage the size of our investor group with our due diligence process, and provide access to these great deals that I'm personally investing in. That's the underlying thesis of the company. You grew out of a frustration about lack of control over your financial destiny with things that seemed totally unrelated to the fundamentals of your underlying investment. If you're investing in Ford or GE, or any other kind of large-cap or even mid-cap stock, what does that have anything to do with group debt yields? I remember that same feeling and thinking, "I don't know if I want to be in the stock market anymore. I have zero control no matter how much research I do on these stocks, on whether or not they're going to go up or down. That's interesting. Right. Even to add to that, control in the real estate sector -- no matter where your positioned in the marketplace -- you are going to have more control because of the underlying simplicity of the asset. What I mean by that is, the risks are mitigatable. You don't have to have a massive infrastructure to conduct due diligence on anything ranging from a single family property to a really complicated asset class like hotels. You can do it with a small company. That's why there's incredibly successful small real estate companies out there. I think the interesting statistic is -- even after 2010 when a lot of the big institutional buyers started to go into the single family rental space and were buying hundreds and thousands of homes on the courthouse steps -- those institutions still only own about 2% of the asset class. The other 98% is owned by small businesses primarily. I think it's super interesting. So, you started off with an investor group that was your family and friends. You grew that a little bit larger. At what point were you like, "You know what, this is a business." Was that always the goal or were you like, "Hey, I'm managing this money and I figured out a way to build a business around syndicating deals?" At what point were you like, "Let's turn this into a company as opposed to a way for me to build personal wealth?" In 2014 or so was when we really started, literally, pulling investors together. Previously we had a structure, which isn't exactly common. We are basically facilitating the investment of deals and taking consulting fees for underwriting those deals, et cetera. Of course, investing as well. 2014 started to be when we were actually syndicating opportunities, creating our own funds, et cetera. Of course, there was also another quantifiable jump in 2016 when we launched -- we have a podcast, the Casual Connections Real Estate podcast. That has been a great tool as well because I had already built up a significant network of people. Essentially, my thought process was if I just record the conversations I have with some of these people, other people are going to be very interested in that. So, those are two quantifiable steps that took place in the last five years or so. 2014 and then again in 2016. We had created investment vehicles that we thought were extremely favorable for investors with the sole intention of growing the business, as opposed to upfront income, for example. I think that that's really been the underlying goal. I think that there's a great opportunity in real estate always, and right now especially, as you see the popularization of the crowdfunding vehicle. Two things are happening. People are much more likely and willing to invest over the Internet, but also millennials who grew up with the Internet are starting to become accredited investors. That's a really interesting opportunity and a data point that I think there's a lot of tailwind in the business as a whole. I'm sure you're obviously in favor of that as well. Yeah, I study these trends a lot. The other interesting trend, in addition to this capital 1) moving online and 2) the wealth transfer between generations, is also the movement from -- and this speaks to what you were talking about already -- is this idea of more people seeking alternative investment classes. Globally, the number is like $11 trillion invested in alternative assets today, and that number is expected to grow to $18 trillion in the next seven years. That's a big jump of capital coming out of your traditional stocks, bonds, et cetera, and moving into something else. A big category of that is real estate. That's going to have some interesting implications for the market, and perhaps stabilizing the market longer term as well. Big fan of it. I agree. Couldn't agree more. I think that one of the main challenges of the real estate sector previously is that while there is a large buyer pool of institutions, comparatively -- going back to the numbers you mentioned about single family -- the buyer pool is significantly smaller for a lot of product types. That becomes the main risk of those product types. So, I'm a huge proponent of the mobile home park business. I'm a huge proponent of the self-storage business. The demand is incredibly stable and there's a lot of data to suggest that. Now, what they don't want to tell you though, is that does not paint the whole picture. Just because people want to rent the property, doesn't mean that you're going to be able to get the right financing. It doesn't mean that your potential buyer is going to get the right financing. Therefore, it doesn't mean that you're going to be able to sell or go through the entire investment vehicle in terms of the hold period. The way to mitigate that risk is to significantly increase the buyer pool. That is what's happening right now. To your point in terms of stabilization, the likelihood of loss of principle is very reduced, particularly in those tertiary asset classes when the buyer pool shifts and the paradigm changes. A big thing that our business -- and probably to some extent, your business -- is doing as well: These are fragmented markets. The fact that we have digital distribution and we can reach a lot of these places more efficiently to provide this type of financing creates better customer acquisition costs in channels. It also brings consistency and standardization, which allows this capital to flow into these, otherwise somewhat esoteric, asset classes. It can be understood and it can be invested in at scale, which is really what the big money wants. If they're going to invest in understanding mobile home parks, they want to know they can put a lot of money to work in it. Very cool stuff. Something that I'd be interested in picking your brain on -- and I think a lot of our listeners would love to understand better is -- you guys are doing passive investing. Which means you are not necessarily boots on ground, operating the asset on a daily basis, which means there's a bit of trust and understanding and underwriting that has to happen -- both at a project level and also at an operator level, I'd suspect. If you could share with us -- I'm sure there's more than 2-3 -- but if you had 2-3 things that you guys really focus in on when you're looking at a new deal in terms of what's important or what you care about, what would those things be? Well, I'll give you a couple. If we're going to limit it to 2-3, I'll give some interesting ones that'll create a couple of cool data points. Before we even jump into that, I will say that how we're positioned in the marketplace is to add a lot of value because our due diligence process is much more significant than a passive investors' usually can be, economically. So, if you're investing $50,000 or even $100,000, it can be challenging to actually conduct the level of due diligence that I may explain during this conversation. If you fly around to a few states, that cash flow from your one is probably going to be deteriorated significantly. Just wanted to say that as a disclaimer because it's important. So, obviously if you're relying on an operating partner, the sponsor is the most important part of the entire transaction. This is something that Jeremy Roll says -- who, him and I have done a lot of deals together. You can invest in a 100% occupied A class property in Beverly hills, but if the property manager - the sponsor - commits fraud, everyone's losing money. So, all of our due diligence process, the entire thing is really looking between the lines to see who we're making a bet on and are they putting themselves in a position to deliver on their promises to investors. At the end of the day, our compensation is tied to their compensation. We have to ensure that they're going to be able to do that. Some of the things that most investors can do -- and people typically talk about references or referrals. Well, I like to do referrals as well, but what I like to do first is look at the entire deal, anticipate who the sponsor is likely working with, and then specifically request those professional references. It's not that I want to talk to their investors, which are fine, but it's usually just their friends. What I like to talk to is the lenders, the construction companies, the CPAS, the attorneys. These are people that not only have an intimate knowledge of the under workings of the business, but also are professionally in a position to need to be honest with you. If you end up working with them, there needs to be some transparency there. I really liked that. The things that you can uncover, just ensuring that what they're claiming is lining up with what professionals are saying as well. It's a really good thing to understand. Something else you can do is, I live in Los Angeles, and like you mentioned, there's a fantastic shopping area here called The Grove. I can go take a bunch of photos with the photographer of The Grove, put that up on my website and say this is our third asset we own. Some multibillion dollar shopping center in Los Angeles. You have to actually verify those claims. One of the ways to do that is, you can pull title on these properties. There's a couple companies out there that can deal with that. Solidify.com Chicago Title Company, RealQuest, companies like that. You'll actually trace the entity back to the sponsor's name. That right there is something that most investors aren't doing. Once you start to get your passive investing, once you’re taking it more seriously, those are the types of strategies that can really help you in terms of verifying some of the claims the sponsor is making. At the end of the day, it's all about a gut check. If you're investing in real estate, these are illiquid investments that not only do you have to have a good feeling about the person now, you have to have a good a good feeling about them in 7 and 10 years. Is this person going to be able to execute in that 10th year when you're liquidating the asset? When you're actually getting the multiple of income you created during that period.? It's a critical portion of the whole period, and they have to be able to act alone in your incentives as well. So, all of it goes back to the sponsor and that was the first thing that came to mind. Are you guys looking for a lot of previous experience and a track record? Will you take a longer shot if the economics are structured for a newer type sponsor, if you have a good deal and some other kind of relevant professional experience? What kind of boxes are you guys looking to check on the sponsor aside from making sure they're not a fraudster and what they say is actually true. Again, this is just our strategy, but for me, I'm extremely skeptical of pretty much everything right now. We will not be sourcing sponsors that are not referred by word of mouth anytime soon. Basically, every sponsor we're working with right now, we've been working with for several years and I don't anticipate that changing. It's very challenging right now to verify that the sponsor's track record is due to their expertise as opposed to market conditions. This has been a very favorable time. Having said that, we look for 10 years in the business, $100 million or more under management, 10 properties taken full cycle, a million square feet or more. Any of those single metrics will usually get you in a good conversation because there's not that many companies out there that are in that size, that also are taking on additional investors, and are also not publicly traded. Real estate and commercial real estate is a massive company, but once you start adding those little hurdles on, it gets to a pretty small group. It turns out we're all friends anyway so we can go to the same places and go to the same conferences, et cetera. So, sponsor is the number one thing that you guys look for, and do the due diligence on. Specifically, for you guys, you are looking for some experience, some real assets under management, and taking a property all the way through the cycle. What about at the deal level? Is there one or two things that you're looking at -- either from a market perspective, an IRR or an ROI perspective -- that really matters for you guys? Sure. I'll go through a high level of all those, because it's all an important part of the process. I'd say, on a property specific level, first I want to make sure that the property is economically viable. One way to do that, is just to assure that there's a large enough number of daily travel vehicles. So, this is the number of vehicles that travel by the property basically, or a nearby street. I like to see a minimum of 20,000 to 25,000. That doesn't mean that's the lowest you should go, but I start to be uncomfortable around that point. I'm also really concerned with tenant diversification. Physically, I want to see the capacity -- in self-storage, for example -- we like to see at least 400 units. In multifamily we like to see at least 100 units. In retail I like to see 10 to 13 tenants. At a senior living, again, I like to see 100 beds or so. That's basically because the predictability of outcome increases when you have that product type, but also the liquidity. A lot of your guests have probably said it's easier to get a $1 million loan than it is to get a $200,000 loan. We like those economies of scale for a variety of reasons. In terms of risk profile, I like the value add area. Especially if you can create that value through management expertise as opposed to capital expenditure. We're actually in the process of rebranding the company from Cash Flow Connections to Asym Capital, which is short for asymmetric. Those asymmetric returns are really generated, in my opinion, by not doing things like expanding a facility or developing a facility. You'll get a proportional return. Those are great ways to juice the returns or the IRR, but from my perspective, you're incurring risk, which is proportional to that outcome. If you can buy a property like a self-storage property, for example -- this is an incredible strategy -- you can buy an asset that has no relationship with the truck rental company, which there are many all over the country. We buy that asset, and then within 30 days we have our contact at U-Haul park 30 trucks on our facility. We rent out the property to the tenants, as they're moving, and get a commission for facilitating the transaction. I have invested in properties where that one line item has gone from $0 a month to $3,500 a month directly to the bottom line because you're not owning the asset. You're not even maintaining the trucks, you're just facilitating the transaction. So, from my perspective, if you're adding $600,000 of value to an asset by doing that, that's an asymmetric outcome. Now, we do other things as well like convert standard units to climate controlled units, but again, that's a proportional. The asymmetric is really how we look at it. Of course, this was just focused on property specific due diligence, but that will give you an idea of the risk profile and the types of assets we invest in. Value add doesn't always mean capital improvements. I think this is an important point. There's other things that can be done to increase income from the property. We heard a story at the conference we were just recently at of adding a propane tank to a mobile home park and selling propane to the campers that came in. It makes a lot of sense, it's super smart. Especially the self-storage business can be very profitable because you start doing things like selling merchandise. You start doing things like admin fees, late fees, anticipating when to buy and sell certain items. If you're adding $1,500 a month, or something like that, it's just a no-brainer. The more complicated it can be, the more significant there is a discrepancy between a mom and pop owner and a best-in-class owner. You start looking around and you're like, "Wow, there's all these mom and pop owners." All you have to do is implement this infrastructure, leverage these relationships, and that's when that asymmetric thing really comes into play. Yeah, that's really cool. You guys are obviously a big proponent of this more passive investing. Tell us why you think passive investing is the way to go, or -- to balance it out a little bit -- what are some of the pros and cons of being a passive investor as opposed to being more of an active investor or an operator? Sure. I was actually asked to be in a debate on this topic at this recent conference. It was pretty funny because obviously we're up there with sponsors and most of the audience is sponsors, which is why they're at the conference in the first place. I just decided to open up, just go straight for the jugular and say, "Look, it's just a matter of preference. If you want to be diversified, if you want to rely on people's time, energy, expertise, and access to capital, it's fine. If you want to put all of your eggs in one basket and be signing away your life on personally guaranteed loans, that 'are non-recourse', but end up always being recourse in the event of a default, then the active approach better for you. It's just a matter of preference. " Right, exactly. I think that is, in some ways, a fair assessment. I'm a huge proponent of that predictability of outcome. The argument that I made during the debate, which was a little in jest, but I think there's some truth to it: If you are going to be successful in business, if you are going to have any kind of market advantage, you have to specialize. Specialization is the key. The division of labor is an incredible tool from an economic standpoint. It's the reason we have everything out there, even things that are as simple as a pencil. This is an example Milton Friedman made famous. What I'd say is that specialization is antithetic to financial wellbeing. If you are allocated to a particular asset class, a particular geographic location, a particular property manager, that is not how you get that predictability of outcome. If your goal is financial freedom, to me that definition is the predictability of outcome. Knowing that you can pay off your expenses without working. It's hard for me to get to that space without having a significant portion of my portfolio passively invested. So, essentially, we're able to leverage other people's division of labor, their ability to raise significant money, their ability to get a multi $10 million loan. In my opinion, the return profile is pretty comparable if you're able to invest in an asset class with a sponsor that is extremely elite. This is not just an infomercial about passive investing, but I'll put it this way: If I were to spend 10 years exclusively focusing on the mobile home park business, I genuinely think I'd probably be half as good as some of the sponsors we work with. Even if the split is 50/50. It's pretty similar, but that doesn't even get into the whole time component. So like I said, I'm a huge proponent of it and even if it's a small portion in your portfolio, I think it's certainly wise to consider. Now there are risks which we can talk about, but I'm a huge proponent of it. To paraphrase a little bit, what you're saying is you decided your specialization is raising capital, syndicating capital, coming in with equity or a mezzanine piece, if you will, to help others that specialize in -- whether it's apartment repositioning or mobile home park operators -- you leverage their specialization around operating that asset and perhaps raising debt. The value you bring to that person is the capital raising on the equity side. If you'd ask a lot of true operators, a lot of them don't like raising the money or are good at it. So it's not that one's better than the other, per se. It has more to do with being honest with yourself and understanding what do you like to do. What do you prefer to do? That generally aligns with what you're good at. 100%. It's your unique ability. Here's the way that I define that term, as blatantly as possible. Again, I appreciate being on the show, but let me just make it how clear I appreciate it. If I had three more zeroes in my bank account, this is exactly what I'd be doing right now. Unquestionably. It’s my favorite part of the day. I love talking on podcasts. I love communicating with investors. Part of our value add is the capital, and part of it is that investor admin, which I genuinely love doing. I love creating articles. I love helping people understand the benefits of investing in particular asset classes and walking them through that process. If someone had just explained it to me earlier on, it would have been earlier in my career that I had understood it. So, that's my unique ability. Again, I'm a huge proponent of the division of labor, so we rely on the expertise of people that hyper-specialize in one particular asset class, one geographic location, et cetera. It makes a lot of sense. Let's talk about some of the risks, the things you got to look out for if you are going to be a passive investor, or some of the downsides. It's interesting because I anticipated that we may get into this topic. At the beginning, you said when you invest in the stock market, you feel like you can't control it. A lot of people get into real estate because they want more control. Within the real estate sector though, you have much more control than you do in something like a stock market because of that mitigatable risk that we talked about earlier. However, I am willing to give up a certain amount of control in exchange for diversification because of that predictability of outcome. So when you're investing passively -- well I should say on the other side of the table -- if you're investing actively, you dictate when to raise rents. You dictate whether or not to fix the toilet or the roof. You dictate when you want to sell the asset or refinance the asset. When you're syndicating and you're one of 50 investors in a large fund, that control is deferred to someone else. The hope is that their expertise is such that they make better decisions than you, and then therefore can make such better decisions than you that they make up for the split above a preferred return for example. One of the major risks is ensuring that you honestly think about what your goals are and what your personality type is. If you're the type of person that wants to control every aspect of the investment vehicle, passive investing is going to present a major challenge for you regardless of how well it performs. We've been in deals with investors that truly didn't grasp that going in. The return profile has been a total homerun, but every quarter it's like, "Wait, I'm concerned about this and this and this." It's like, "Well, everything's going fine and this is a quarterly report. This is what you're supposed to get." It's just a personality test. Yeah, it's a real thing. I think we have some people even on our platform that do direct lending and do some investing with us. That is exactly the tradeoff. You're trading off the ability to diversify into a number of different loans in our case -- or deals in your case. You're also going to give up some of that control. So it's a real trade off, I believe. Not always a bad one. It's just mentally you've got to be there. 100%. I'll add to that because I think that mathematically -- I'll put it this way: Despite the level of sophistication, it is very challenging to beat the mathematics behind diversification. Even if you really look at a deal and you visit the market, and everything's growing and it's in a booming asset class. Weird things can go wrong and those weird things are very difficult to predict. Especially if you're at an elite level, meaning that the bases are covered. What I mean by that is if you invested in a fund -- and this speaks to your point and your business model -- if you just have three assets that are performing for your investment as opposed to just one, the likelihood that you'll experience, let's say a month or a quarter, that has no distribution is almost eliminated. My attorney will probably kill me if he heard me say that. Mathematically, if you're investing within a reasonable risk profile, and weird things only happen once every 10 years -- which is reasonable -- the likelihood that you'll have to send a notice to investors to say "We're sorry, but the following three quarters we'll likely not experience cash flow because we had to replace the elevator." You have three properties that are performing. That email just doesn't seem the same. As a business owner, but also as an investor, that's exactly what I want to provide. I could not agree more. Let's move on to the next thing here. The theme of the show is Real Estate Investing Unscripted. As you know, and I'm sure being part of a lot of deals you've seen a few of these, no matter how much you plan -- and I think you even just alluded to this -- no matter how much you plan, no matter how good of a deal it seems like going in, stuff happens. If you could share with us one of the stories that you have of a deal that you've seen or been a part of that something happened that you couldn't have predicted no matter how much planning or due diligence you did. What was it, what was the outcome and what have you learned from it? Yeah, sure. Before I even start this, I will say that obviously we started the company in 2011 and like I said, it's a really favorable time to invest in real estate. So, I don't have a lot of real cut your teeth horror stories as you would probably expect. I'm not taking full credit for that. A lot of it has to do with due diligence. A lot of it has to do with market timing. However, the first deal that I really got hurt on, it was 100% from my own personal portfolio. I was just getting into the sector and I invested in -- I'm sure a lot of your listeners have made this mistake -- it sounds like this: "Wow, I didn't know you could buy three houses for a total of $100,000!" That's how the story starts. In the south there's these houses that are $30,000 each or $25,000 each, and on paper they rent for $600. So you're talking about a 2% rent to price ratio, which is pretty remarkable. It should probably produce something in the range of, let's say, a 10% cap rate or so. Something in that range. The challenge though, there's a ton of challenges with this. The first one is that the gross dollars are so small that when half of the money's being taken for expenses, if you have to fly there once, your cash flow is basically eliminated at that point. The reason you'd have to fly there is because the people that manage those properties do not have a lot to gain or lose depending on their performance. So yes, their incentives are aligned, but to what degree? $50 a month? $75 a month? Think about the level of sophistication of those managers. That's obviously no disrespect to people that are doing that job, that are listening to this. The reason I'm saying that, is that if you're listening to this podcast, I know as well as you that you have a tremendous market advantage against your competitors. So, good luck out there. My point is, I like to make bets on firms that stand to gain seven figures or more. The level of sophistication of the people out there that I get to work with are extremely sophisticated with incredible backgrounds, some institutional backgrounds. That's just the way that I restructured my business after that experience. I know it's extremely common for people to struggle with that in the single family space. I took a bet on a sponsor, I guess a manager that I didn't understand the lack of incentive alignment from a gross dollars perspective. I can give you another example that's not exactly focused on real estate, but that single family thing for me was pivotal in my career. That's a big thing for a lot of coastal people that are living on the coast and wanting to invest out of state. You get into some of these markets where you can buy these homes for very attractive prices and you think you can build a portfolio, but they do become difficult to manage. There's a business out there. To your point, for that business to work, being local or having a partner that's local that can be boots on ground and taking care of some of the things is probably super important. Agreed. I really like to have -- going back to the passive approach -- I like to have one other layer in between. So, if the property manager or somebody has a question, the property manager has a toilet that needs to be replaced, the property manager will call you if you're actively owning the property. I like to have the property manager call a sponsor that's already bought a thousand toilets and knows exactly what to do. I never even figure out that the toilet broke. That's just how I like to create the investments. Another one that I had some challenges with that is interesting is an investment in a performing oil well. This is with a sponsor that's incredibly--their successful track record is just unquestionable. The nature of that business -- for you or anyone that's considering investing -- the oil business is as crazy as it seems like in the movies. The people that you're dealing with, there's fifth generation, hundred million dollar plus families that are just the most bizarre individuals. At the end of the day -- this is every business --it comes down to the people involved. It's also a very private business, so there's not really comps. It's all word of mouth, even at the highest level. It's absolutely remarkable. When you have a challenge there's not a lot of liquidity. They don't buy and trade very quickly. There's all kinds of weird, idiosyncrasies of the business. Again, going back to the first thing, I'm just a huge proponent of the commercial space. Also, the real estate sector as a whole because of the relatively simplicity of the asset class. Yeah, bricks and sticks as they say. It's nice to be able to put your hands on and walk around and generally understand what's driving demand and pricing. I couldn't agree more. Well, this has been great. I really appreciate you coming on the show and sharing some of your background, what you guys are up to, how you think about doing due diligence and sharing of the learnings that you've had over the years. If listeners want to get ahold of you, learn more about what you guys are up to, or check out the podcast, how can people find you? Like I mentioned the name of the company is CashFlowConnections.com. Probably by the time this is launched, we're going to be AsymCapital.com, but you can also find the podcast at Cash Flow Connections, Real Estate Podcast on iTunes. It's Cash Flow, two words. If you're interested in learning more about our investments or want to get a free eBook on the self-storage business, just shoot me an email at info@cashflowconnections.com. Checkout CashFlowConnections.com, checkout Hunter's podcast. Thanks again so much for coming on the show with us. I really enjoyed the conversation. If I could summarize some of the key points that I had around due diligence and make sure you're doing reference checks on the professional resources. I really liked that tip. As well as verifying their experience via title reports. Really simple stuff. I can also speak from this experience. You'd be surprised at what people represent versus what's actually true. So, do the due diligence. I love you're reinforcing of the division of labor and knowing what you're good at. We're big believers in this here at Fund That Flip. Vis-a-vis our name. We're not financing everything, we're sticking within our lane. I think that's important no matter what kind of business you're in, whether you're being going to be on the capital raising side, the legal side, or the operator side. The more you can focus in and own a niche, the better off you're going to be. Then, what you were getting at -- correct me if I'm wrong -- around how you've learned about some of the lessons over time is how important aligning incentives are with your partners. Making sure everyone has enough meat on the bone, if you will, to make it worth their while to just do the right thing. If the deal is structured right, investors are going to win, syndicators are going to win, operators are going to win. Everybody makes money and yet you get to do it all over again. Awesome. Thank you again, Hunter. I really appreciate having you on. Hopefully we run into each other again at another conference soon. Yeah. I really look forward to it. I'm also looking forward to having you on our show in a couple of weeks. Thanks again for the opportunity. Thank you, and thank you guys for listening. To check out more resources, go to Fund That Flip. Otherwise, I look forward to next time on the show. Your host, Matt Rodak, signing off. You can reach Hunter at info@cashflowconnections.com or by visiting www.cashflowconnections.com. For more resources or to fund your next project, head on over to FundThatFlip.com.